The new high-torque motor of the DST2 series with a shaft height of 560 mm is now the largest motor that the Nuremberg-based manufacturer Baumüller offers. Baumüller is breaking its own shaft height record with the current expansion of its motor portfolio. With a shaft height of 560 mm, the new DST2-560 high-torque motors are now the largest motors that the manufacturer and pioneer of direct drive technology offers in series production. With a maximum torque of up to 80,000 Nm, the motors are suitable for use in various industries and systems, such as servo presses, extruders and shredders. The water-cooled high-torque motors offer very high torques even at low speeds and also impress with outstanding true running characteristics, a robust design and a smooth housing surface that is not prone to accumulating dirt. Specifically designed for use in ships, the DST2-560 is optionally also available with so-called wing mounts. These feet diametrically arranged on the outer diameter of the motor make it easier to integrate it into the ship design. In addition, the high-torque motors have already been prepared for approval according to Lloyd’s Register and the DNV GL. 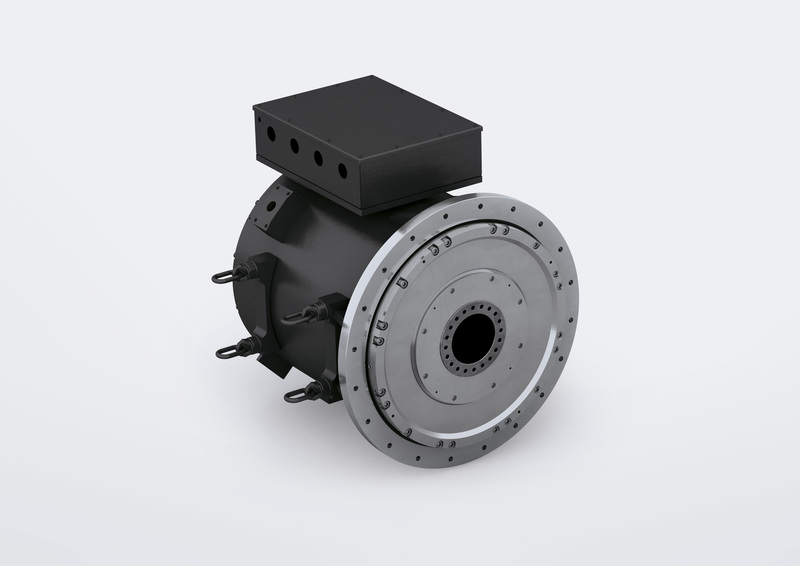 With degrees of efficiency of 96% over a broad speed range, the DST2-560 motors are very energy-efficient.